Emergency architecture is once again in the limelight, with the devastation in Japan at the forefront of global concern. But someone has to think beyond cool concepts and consider the nuts-and-bolts requirements for staying alive, safe and healthy too. 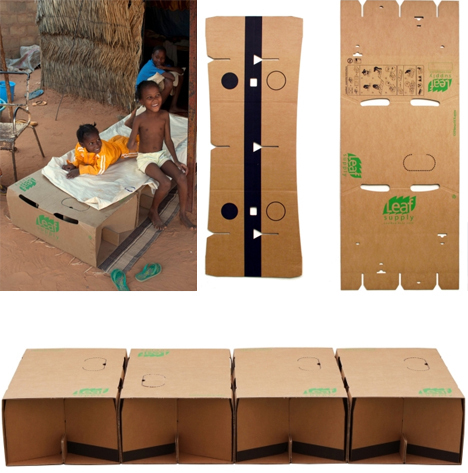 The French designers of NOCC created this unassuming sleeper composed of four precut cardboard panels that can be readily made either at the site of a disaster or easily shipped as needed (minimal tools for assembly and fastening are included). 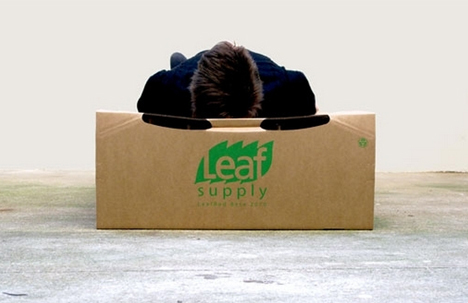 In bed mode, the units are built to deform in the middle rather than at the edges, thus conforming to the shape of a sleeping human form in the center. 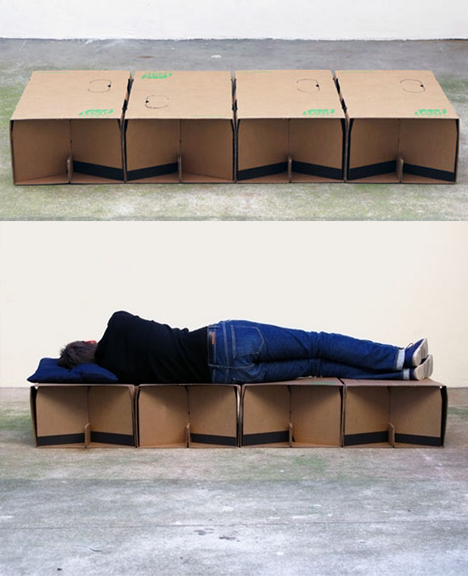 Modular combinations work as beds for various sizes and ages, but also can be stacked or separated to form tables, stools and other simple furniture objects. Storage slots built into the top can be used to stash personal items up off the ground, too. 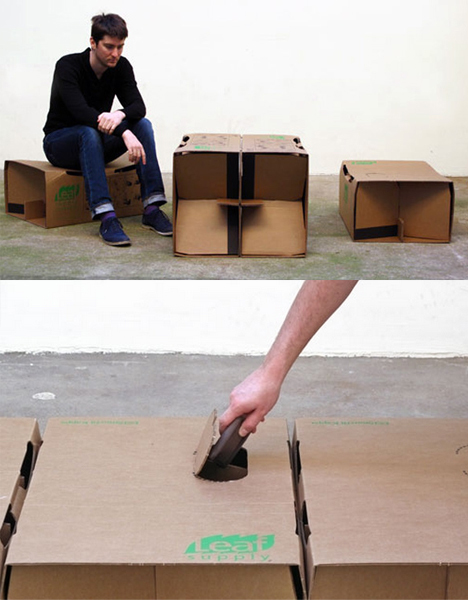 While perhaps not the most comfortable cot in the world, cardboard does provide some give under pressure and the structures formed here are made to not buckle under human weight. So the next time someone shows you a bare-bones architectural solution for emergency use, consider what kinds of things it could or would be filled with, too.